Harmonics is lesser known subject causing non-quantified amount of losses. 1. Passive HF are cost effective but doesn't suppress the levels entirely. 2. Passive HF + Active HF (at Point of common Coupling [PCC]) will be economical and lesser than Active HF completely. 3. Active Filters are assured way to mitigate Harmonics below 5%, but cost factor plays the role. 4. 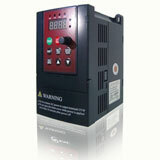 Using VFD drives with minimum 18 pulses and above (MV Drives). 5. Quantify < than 5% losses & < than 10% losses and take decision to go for heavy filtering or not. Both are IEEE 519 guidelines. As a VFD slows down the THD goes up but the total harmonic current goes down. So there is only one point of concern, full speed. If you meet IEEE 519 at full speed you are good to go at any lesser speed point. The best way to mitigate power harmonics is with an active filter solution. 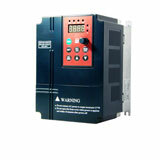 No matter how low or high the load (VFD) runs at an active mitigation solution is best. There are many non-active solutions on the market but they all fall flat under varying load conditions most are based on LC filters and need the C component switched out at low load conditions. Power factor is a vital consideration when looking at any harmonic mitigation.